Posted on 14, April 2015 by EuropaWire PR Editors | This entry was posted in Art & Culture, Entertainment, European Union, Germany, Internet & Online, Law, Media, News and tagged Alexander Bard, artists, Chopin, classical music, COPYRIGHT, copyright reform, Cory Doctorow, Creative Commons Zero license, creators, digital works, EU copyright evaluation report, European cultural treasures, European Parliament, European Union, Fréderic Chopin, German pianist, historical Pleyel piano, Jonathan Worth, Julia Reda, Kimiko Ishizaka, Lexi Alexander, licensing, Meet the new Authors, MEPs, multimedia archive of Chopin’s music, Pianist, Pianist Kimiko Ishizaka, Piano, Robert Douglass. Bookmark the permalink. Pianist Kimiko Ishizaka to perform for MEPs and the general public in the European Parliament as part of “Meet the new Authors”, an initiative sponsored by MEP Julia Reda in the context of the EU copyright evaluation report. BRUSSELS, 14-4-2015 — /EuropaWire/ — German pianist, Kimiko Ishizaka, known for her innovations in financing and releasing new recordings of classical music, will perform works of Fréderic Chopin in the European Parliament. She will be joined by her husband and business partner, Robert Douglass, who will explain the benefits and risks for artists and creators when licensing their digital works on the internet. 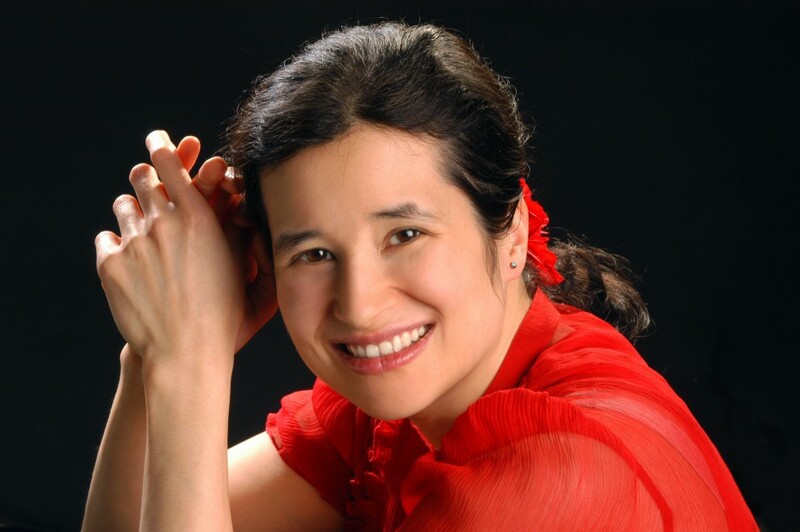 Ishizaka, who in 2012 released her studio recording of Bach’s “Goldberg Variations” into the public domain, and again in 2015 released Bach’s “Well-Tempered Clavier, Part 1”, likewise into the public domain, using the Creative Commons Zero license, is currently campaigning to create a multimedia archive of Chopin’s music, played on a historical Pleyel piano. She is engaging with fans and supporters directly, using the USA-based crowdfunding website Kickstarter.com. Her previous projects have made notable contributions to accessibility and availability of European cultural treasures. For example, the Wikipedia.org entry for Bach’s Goldberg Variations, one of the monumental keyboard pieces of the 18th century, features 17 audio citations of Ishizaka’s recording, so that people learning about the work have high quality audio examples available to them. The clearly licensed recordings are likewise a boon to libraries and universities, where Ishizaka’s work is regularly included in arts curricula. Other authors and creators who will be participating in “Meet the new Authors” include internationally acclaimed author Cory Doctorow, multi-talent Alexander Bard, Creative Commons photographer Jonathan Worth and Hollywood director Lexi Alexander. The EU copyright evaluation report is a part of the EU’s ongoing effort to propose copyright reform in the autumn of 2015.